Can Brushing Too Often Cause Hair Loss? Men and women want to have full, thick hair. Healthy locks can increase a person’s confidence and enhance overall appearance. Unfortunately, thinning hair is a problem that affects nearly everyone at some point or another. Unfortunately, in some cases, hair loss is unavoidable and will require hair loss treatment to restore a fuller hairline. But for some patients, bad habits could be contributing to hair loss. Brushing too often can cause hair loss. At True & Doring in New York, NY, our hair loss doctors can help patients understand the impact that brushing can have on the hair. When hair loss occurs, people are usually eager to address the problem. However, hair loss cannot be effectively treated without determining what is causing the loss to begin with. There are typically three general types of hair loss. Hereditary: Hereditary hair loss is a genetic condition that is most commonly the result of hormonal changes or imbalances. 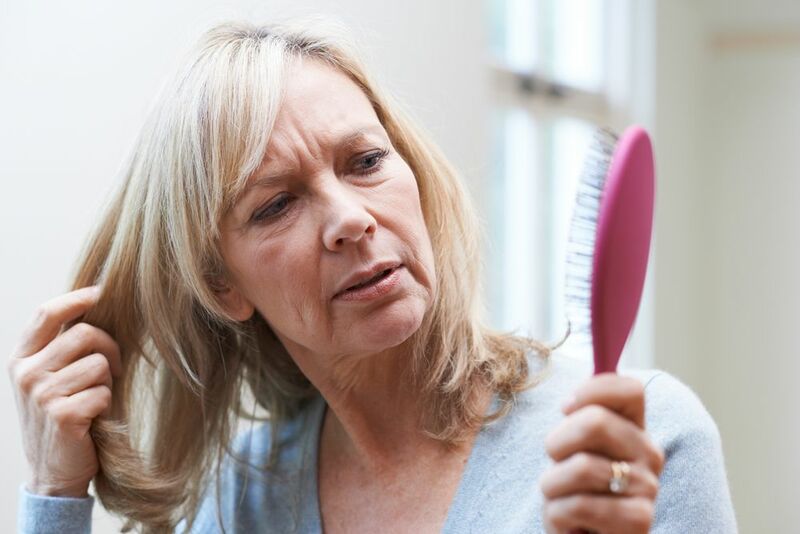 Medical: Medical conditions that can lead to hair loss include anemia, hypothyroidism, autoimmune disorders, and the use of certain medications or medical treatments, such as chemotherapy. Environmental: When hair loss is not caused by genetics or medical conditions, it is environmental. This means that it is the result of certain habits, such as overuse of hair products, crash diets, or aggressive hair brushing. While it is generally believed that brushing is good for the hair, an excessive amount of brushing can lead to hair loss. Hair loss can occur due to aggressive hair brushing. If a person pulls too hard when running a brush or comb through the hair, it puts a lot of stress on the shaft of the hair. Aggressive brushing can damage the cuticle of the hair and cause it to flake away. The cuticle is the outermost layer of the hair, and the most important part of the hair. The cuticle protects the shaft of the hair, so the hair can grow and reach its full length potential. If hair cuticles become damaged, patients may notice an increase in split ends, hair breakage, and hair loss and thinning. Individuals can protect their hair and minimize the risk of environmental hair loss by practicing some good hair care habits. If good hair care habits are practiced and hair loss still occurs, it is likely the result of genetics or a medical condition. Hereditary and medical hair loss can often be addressed with the hair loss treatments offered at True & Dorin Medical Group. Our doctors are happy to discuss these options in further detail with those patients to help them determine if they are ideal candidates for these services. If you are concerned with hair loss and would like to know if hair loss treatment can help, contact us at your earliest convenience to learn more about the hair loss services offered at True & Dorin Medical Group. Call (212) 826-2525 to set up a personal consultation with one of our doctors.